The Mexican government softened some rules on the bidding process for new oil tracts in an effort to placate private oil companies who had complained about too many restrictions. With the changes, the Mexican government gets rid of caps that would limit oil companies to bidding on only a certain number of contracts. There were other tweaks to the auction terms that would sweeten the pot for bidding companies. Exploration companies will now be able to have more of their exploration costs recovered, with the possibility of seeing a 125 percent return for their costs if an oil discovery is commercialized. In return, oil companies will pay higher taxes to the Mexican government if their profits balloon beyond a certain threshold. President Enrique Peña Nieto liberalized the oil sector in an effort to attract private companies that could halt the country’s rapid decline in production. Mexico has seen its oil output drop by more than 1 million barrels per day over the past decade. 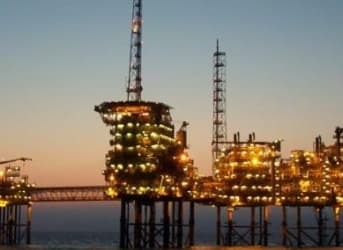 The upcoming auction will be a seminal moment for Mexico, Peña Nieto surely believes, as it will lead to billions of dollars in investment from international oil companies and potentially a resurgence in oil production. There are several regions in Mexico that are high up on the list for the oil industry. The Perdido Fold Belt, a basin in the Gulf of Mexico that is near a lot of U.S. offshore oil acreage, is a highly sought after area because it could offer similar productive geology that international companies are accustomed to in American waters. Companies like BP, Chevron, and Royal Dutch Shell have existing acreage not too far away on the US side of the border in the Gulf. Pemex has been unable to tap into some of these trickier ultra-deepwater plays, lacking the capital and technical expertise compared to its international peers. There is also shale acreage onshore in northern Mexico. Again, many private companies think there is huge potential in this area since it could have similar geology to the Eagle Ford, the prolific shale basin in South Texas. The vast shale oil and gas reserves may simply extend southwards into Mexico, except on the Mexican side the shale has not been picked over yet. Now that the Mexican government is moving towards selling off that acreage, private companies are chomping at the bit. After the shallow water auction, there will be another round in which the Mexican government will offer up some smaller onshore acreage. This will include 26 tracts located in three regions – the Burgos basin south of the US border, Tampico-Misantla, and Salinas-Sureste, all along the Gulf Coast. These regions are expected to consist of smaller fields, which may not attract interest from the oil majors, but according to the Houston Chronicle, could open up a door for smaller oil companies to jump into Mexico. Those fields could attract an estimated $620 million in investment over half a decade, and potentially produce a combined 36,000 barrels per day when commercialized. Mexico has staked its future on the energy reform legislation. The preliminary results of the move will soon be revealed.